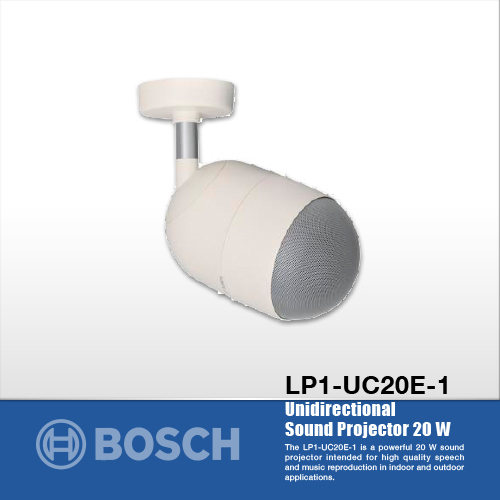 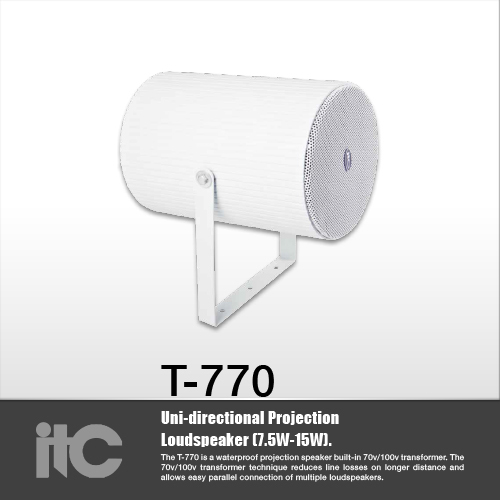 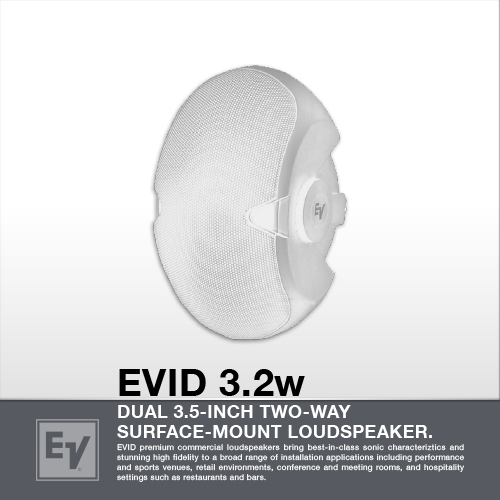 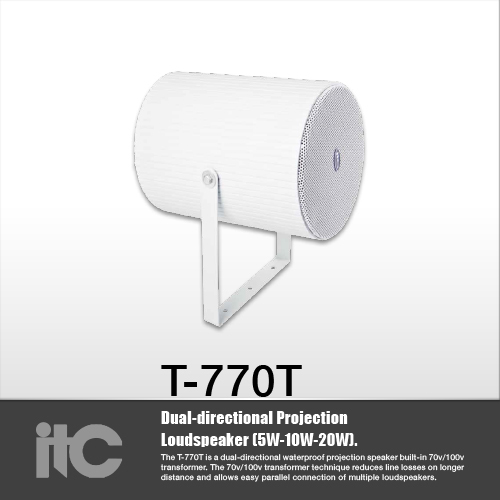 Sound projector 20 W, unidirectional, aluminum extruded enclosure, U-bracket mounting, water and dust protected IP66, EN54-24 certified, white RAL 9010. 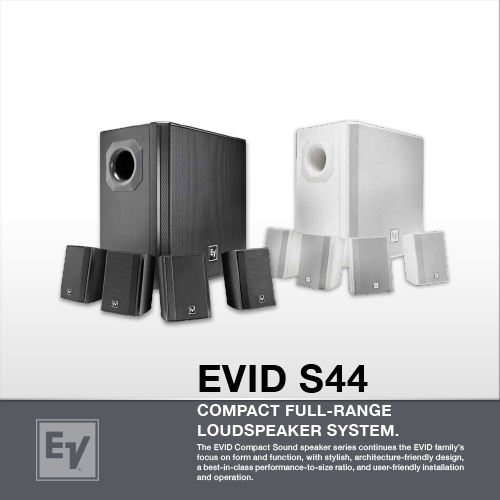 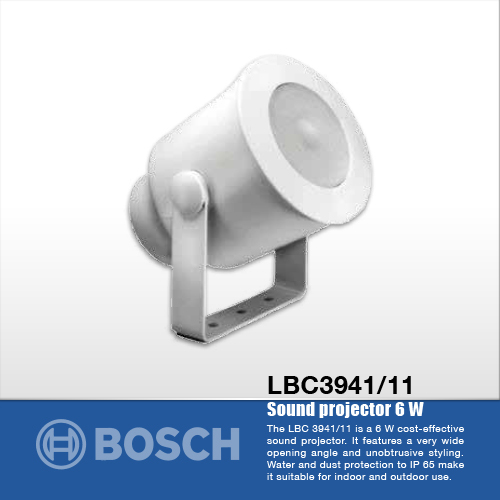 Sound projector 12 W, bidirectional, aluminum extruded enclosure, water and dust protected IP55, EN54-24 certified, white RAL 9010. 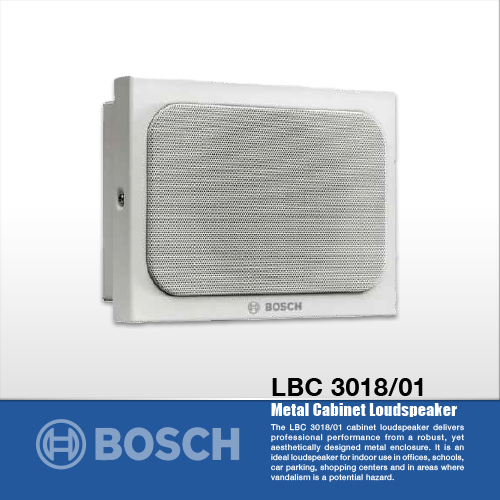 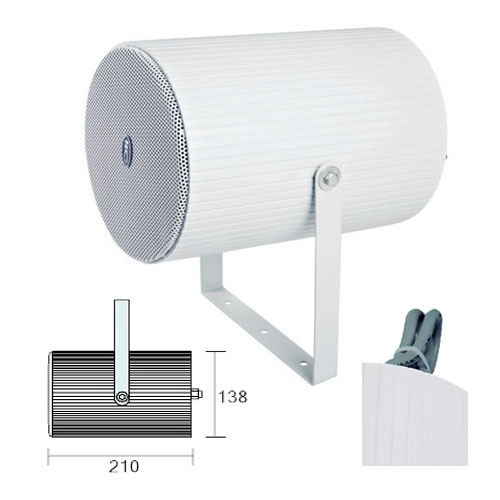 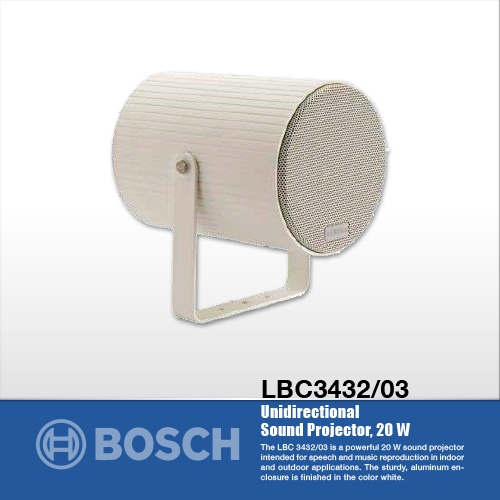 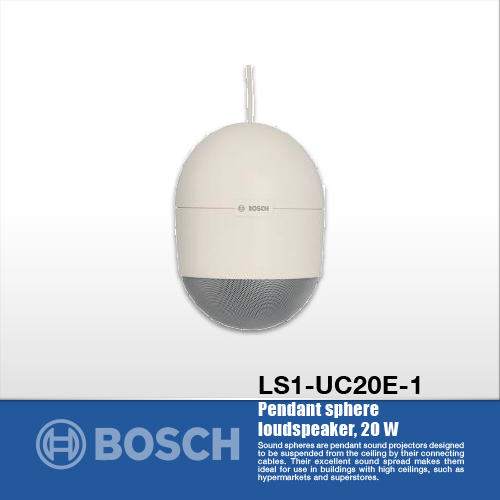 Pendant sphere loudspeaker, 20 W, white ABS enclosure with metal grille, fixed 5 m, 5-core connection cable and cable suspension clamp, EN54-24 certified, white RAL 9010. 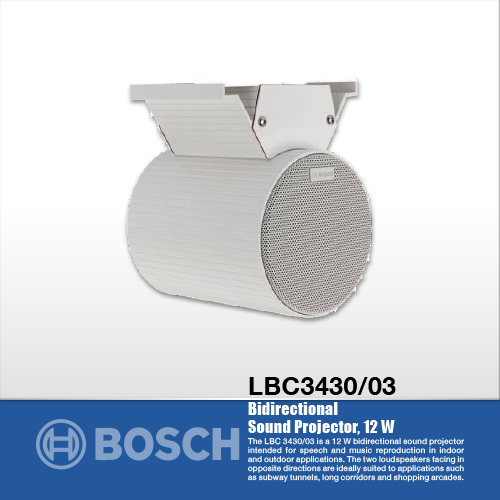 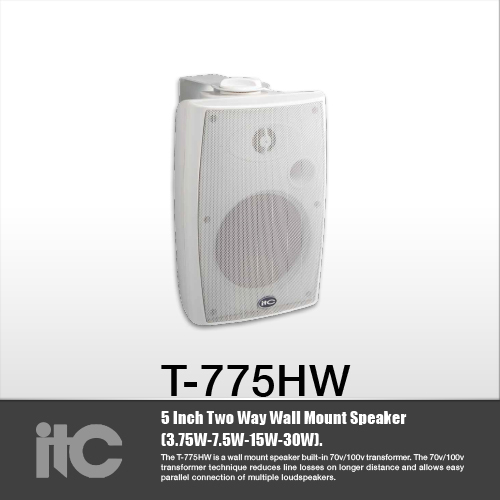 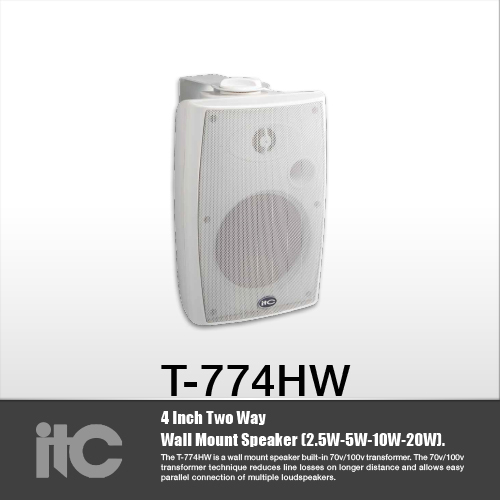 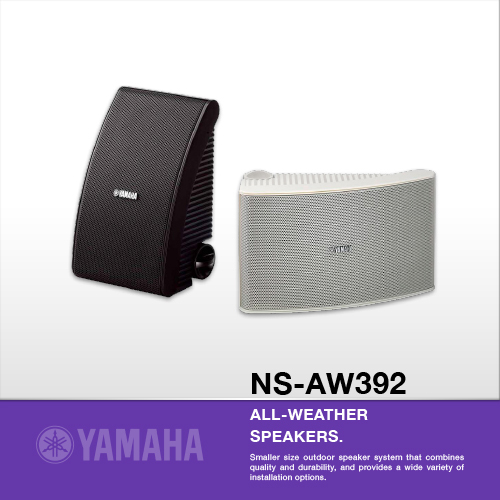 Sound projector 20 W, unidirectional, white ABS enclosure with metal grilles, water and dust protected IP65, EN54-24 certified, white RAL 9010. 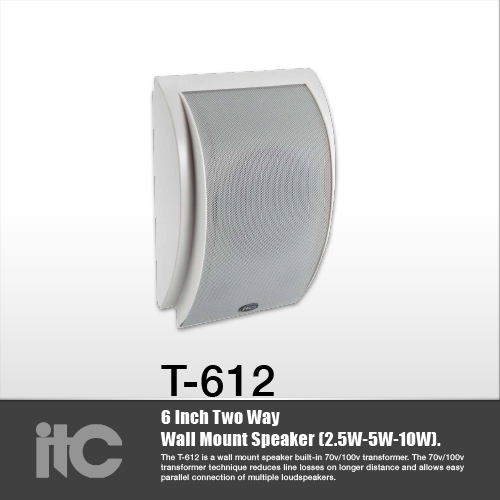 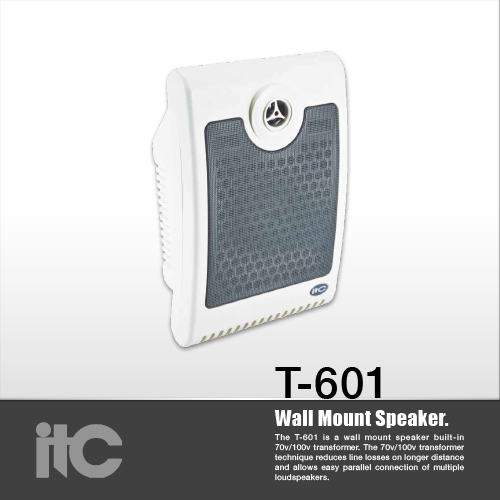 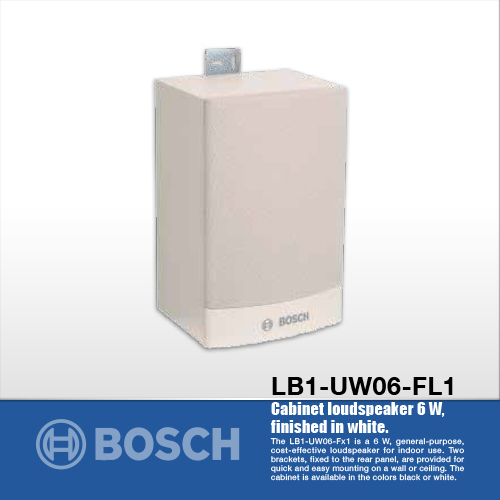 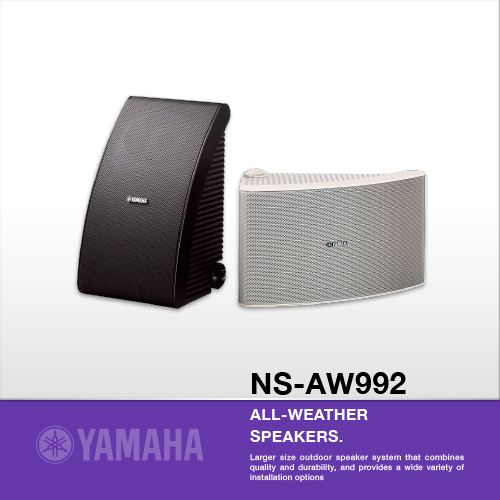 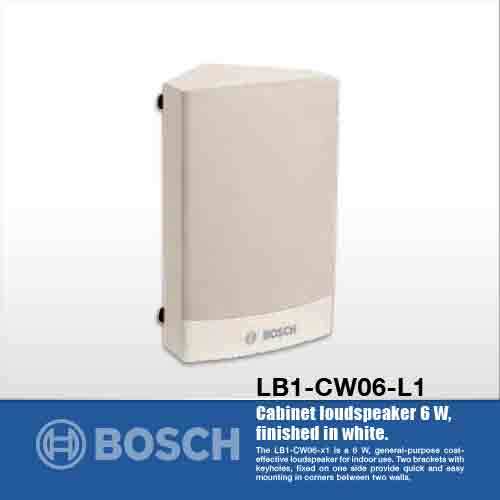 Sound projector 10 W, unidirectional, white ABS enclosure with metal grilles, water and dust protected IP65, EN54-24 certified, white RAL 9010. 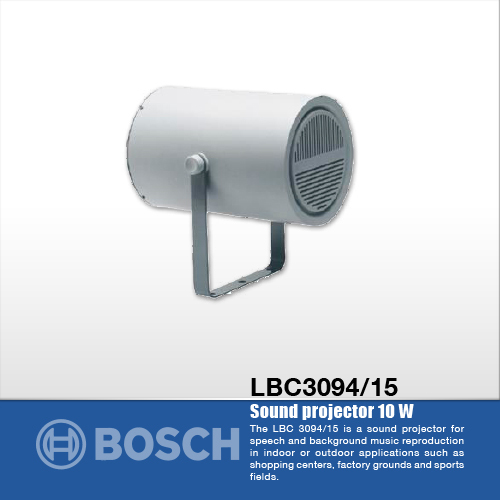 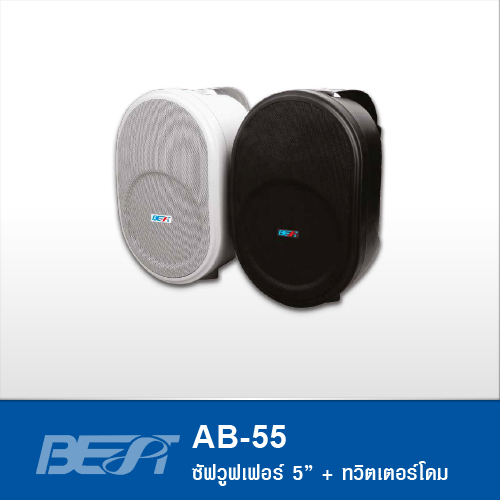 Sound projector 10 W, bidirectional, white ABS enclosure with metal grilles, water and dust protected IP65, EN54-24 certified, white RAL 9010. 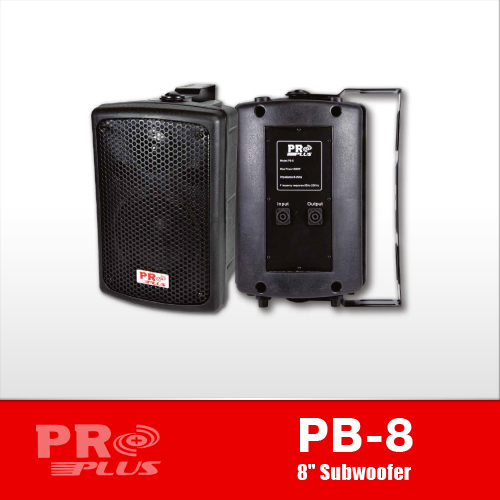 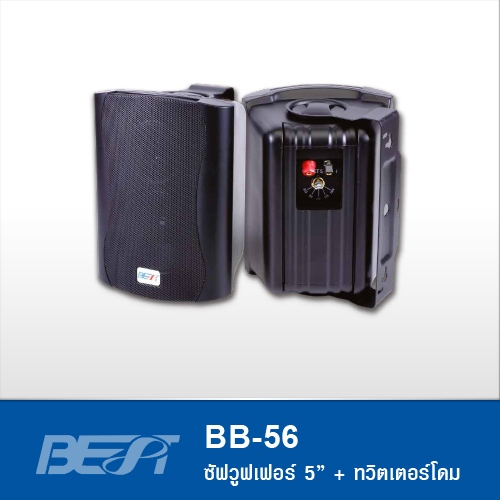 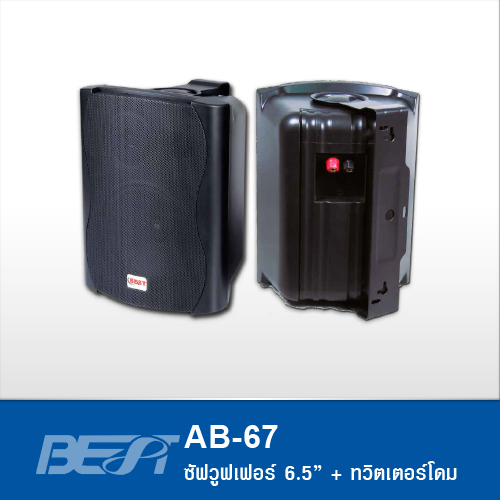 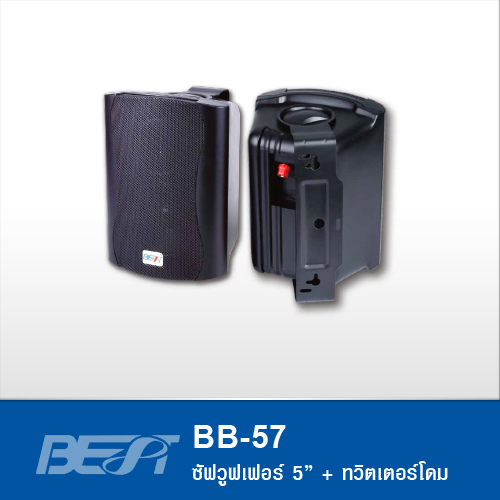 Sound projector 6 W, white ABS enclosure, wide opening angle, water and dust protected IP65, fixed 2 m connection cable. 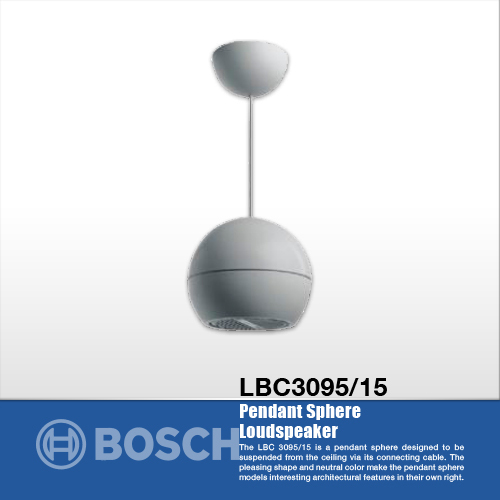 Pendant sphere,10 W, white ABS enclosure, wide opening angle, water and dust protected IP63, fixed 5 m connection cable, cable clamp, and ceiling cover included. 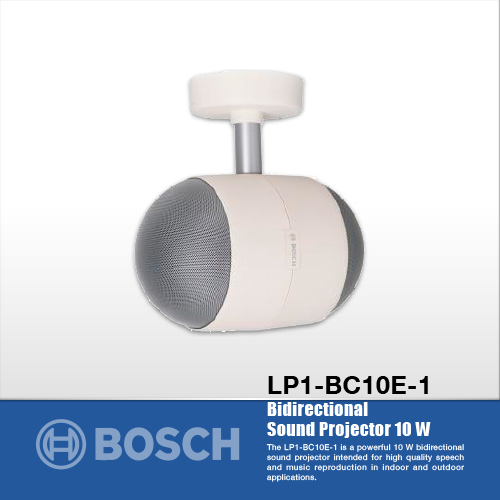 Sound projector 10 W, white ABS enclosure, water and dust protected IP63, fixed 2 m connection cable. 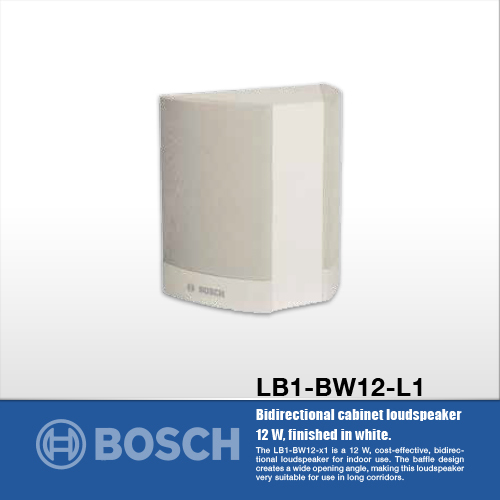 Bidirectional cabinet loudspeaker 12 W, MDF enclosure with fine-woven cloth fronts, finished in white, with 3 keyholes for wall mounting. 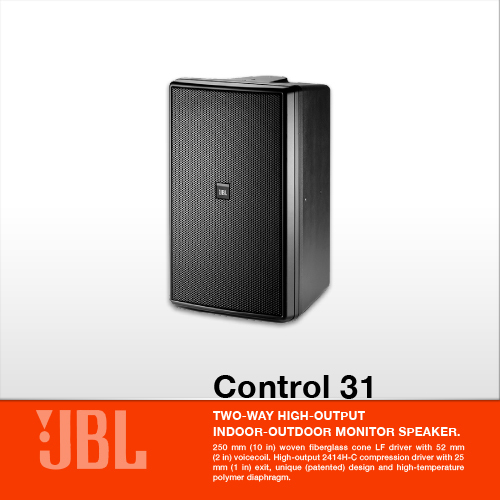 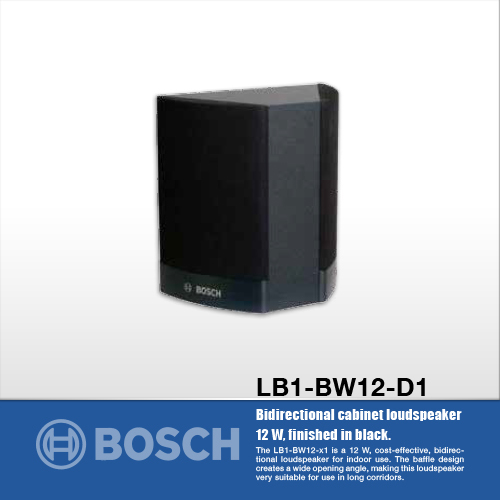 Bidirectional cabinet loudspeaker 12 W, MDF enclosure with fine-woven cloth fronts, finished in black, with 3 keyholes for wall mounting. 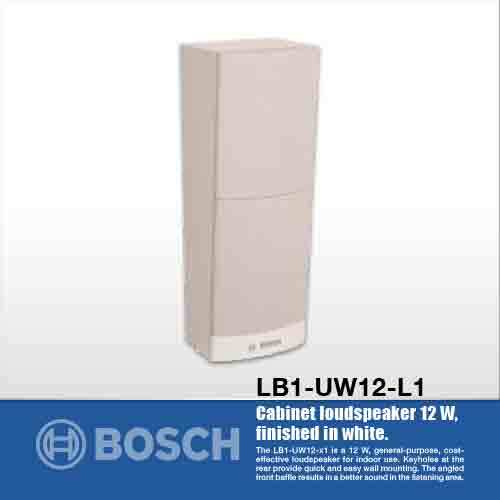 Corner cabinet loudspeaker 6 W, MDF enclosure with fine-woven cloth front, finished in white, special shape for mounting in corners, supplied with two brackets with keyholes. 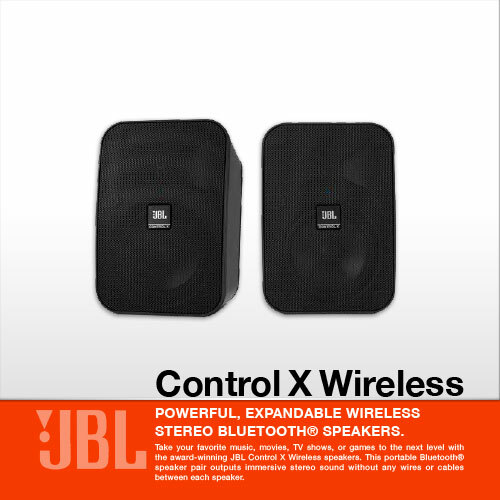 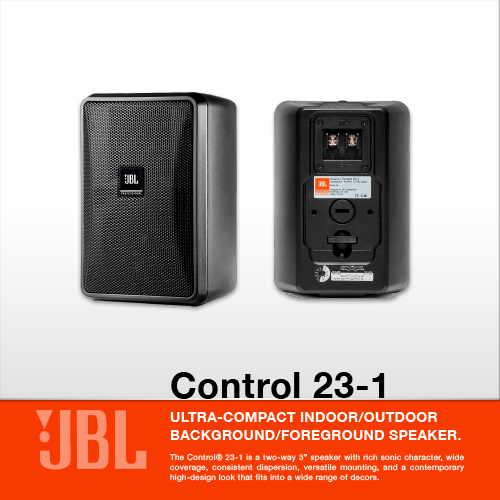 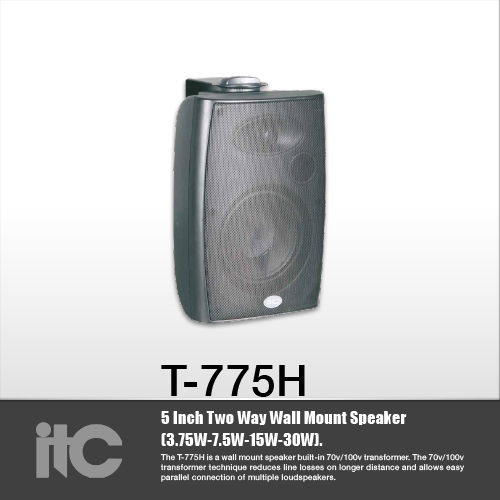 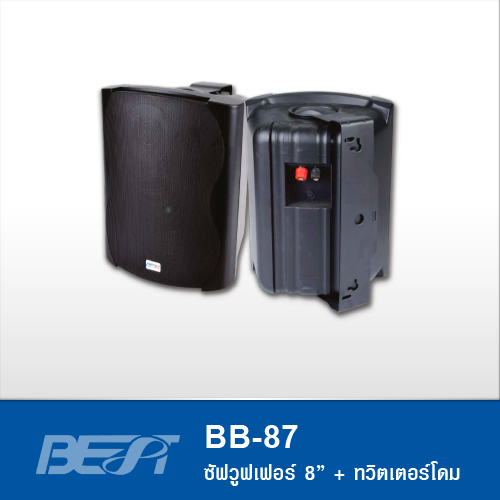 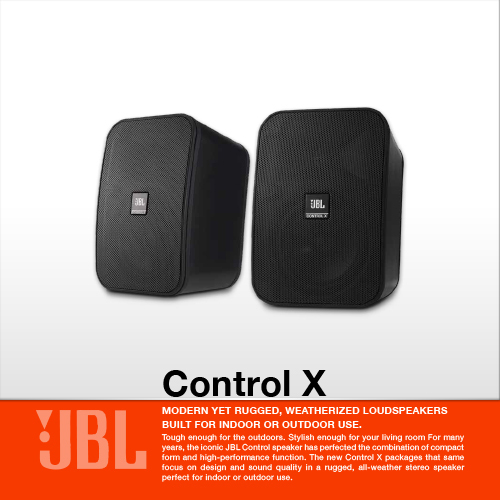 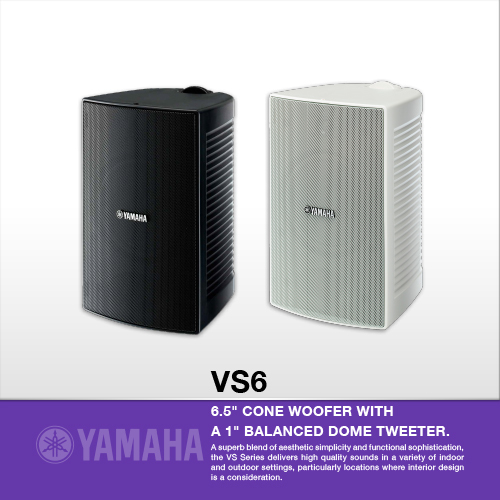 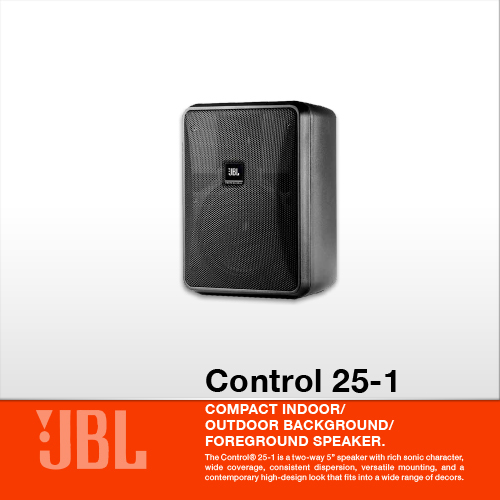 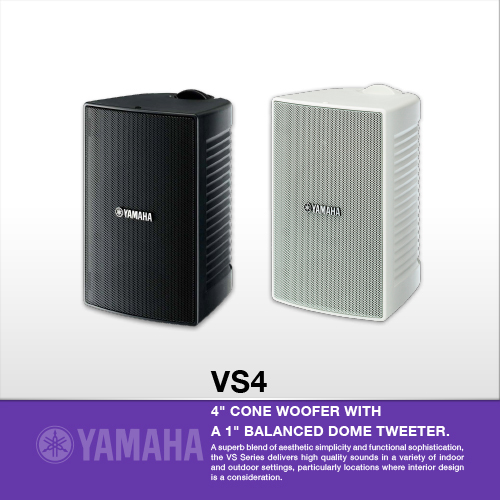 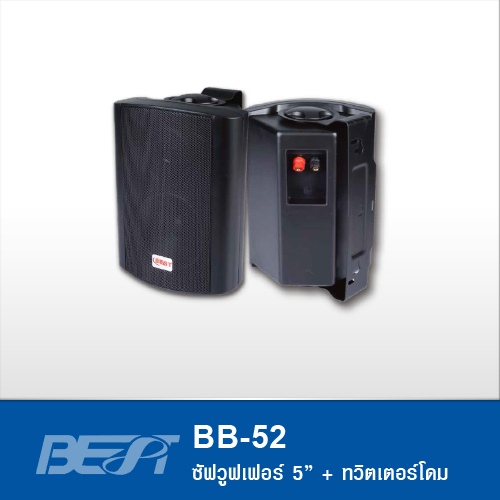 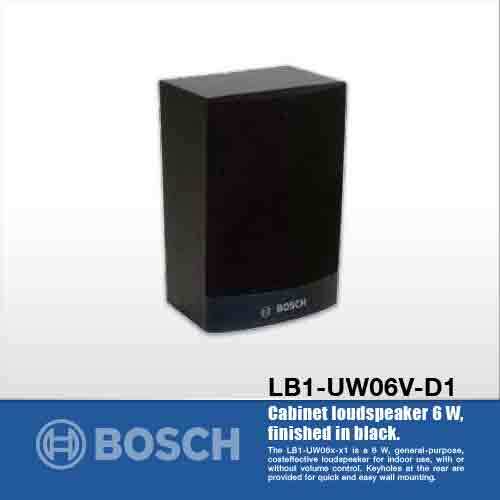 Corner cabinet loudspeaker 6 W, MDF enclosure with fine-woven cloth front, finished in black, special shape for mounting in corners, supplied with two brackets with keyholes. 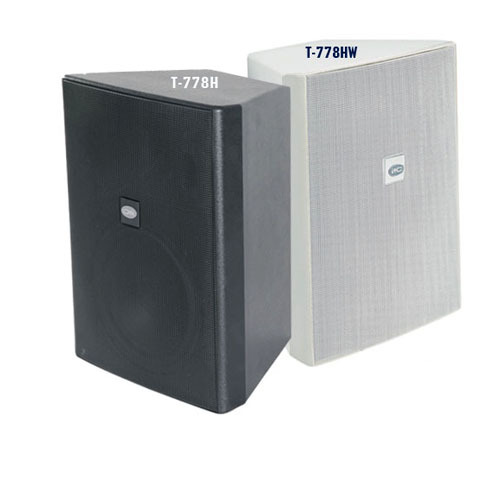 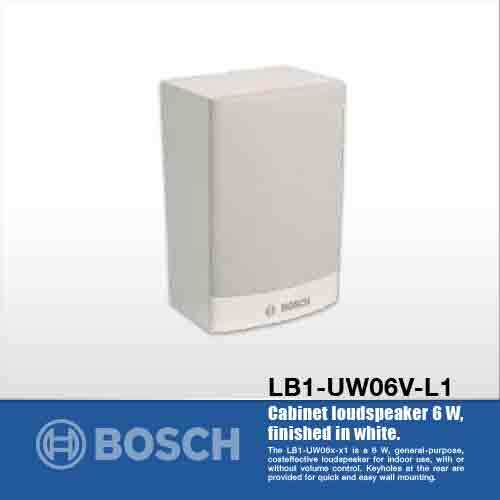 Cabinet loudspeaker 12 W, MDF enclosure with fine-woven cloth front, finished in white, with 3 keyholes for wall mounting. 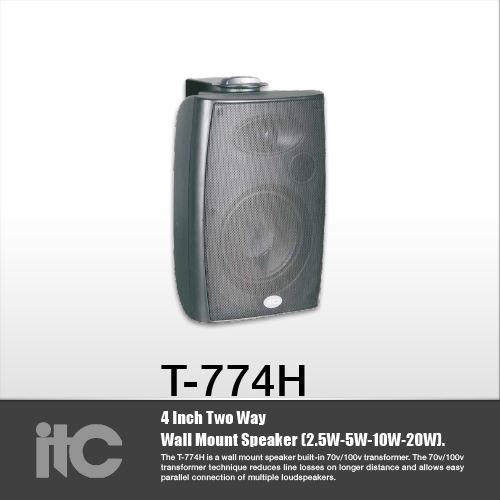 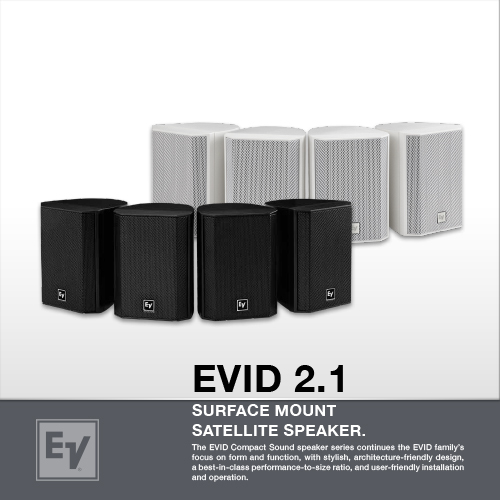 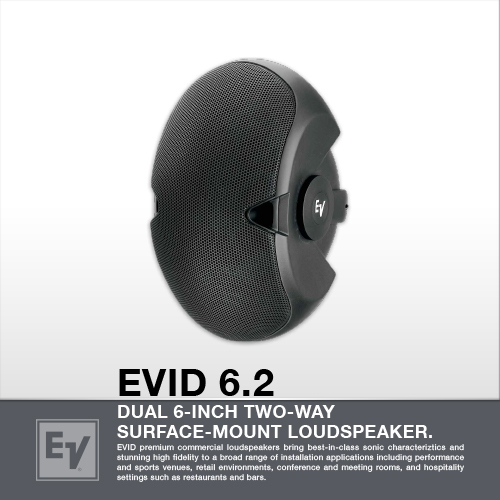 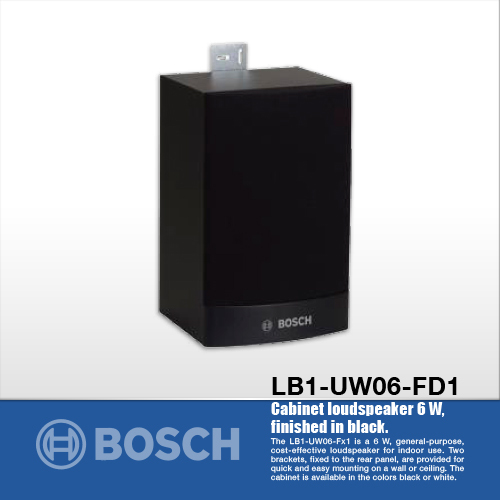 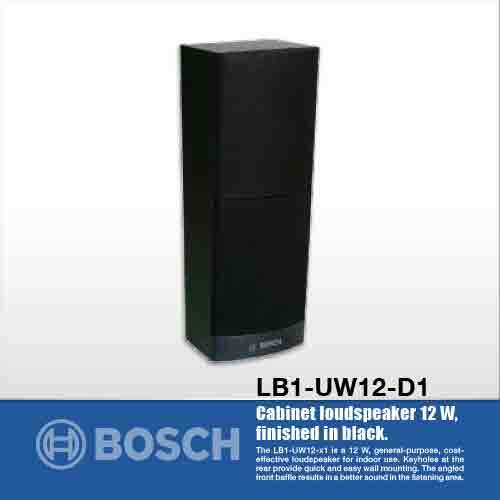 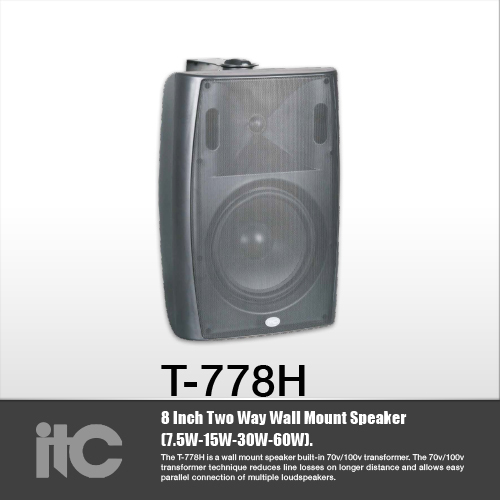 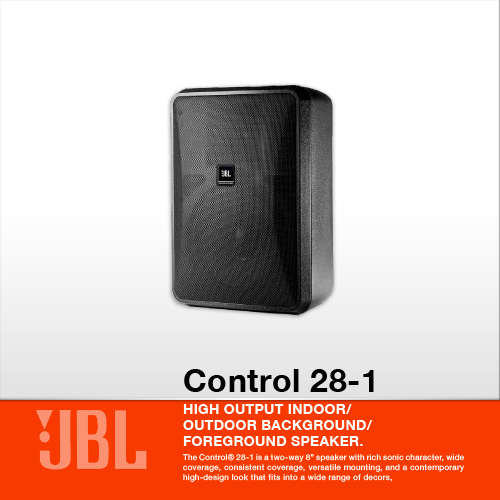 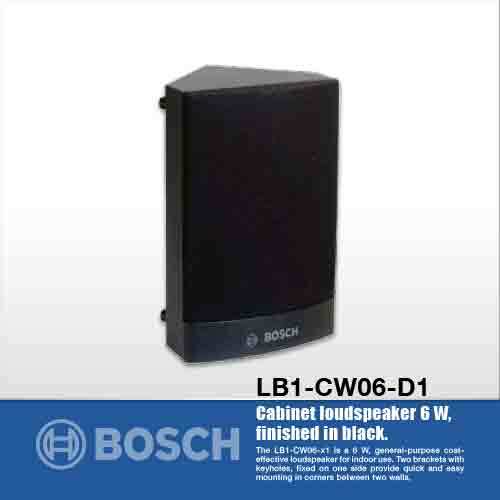 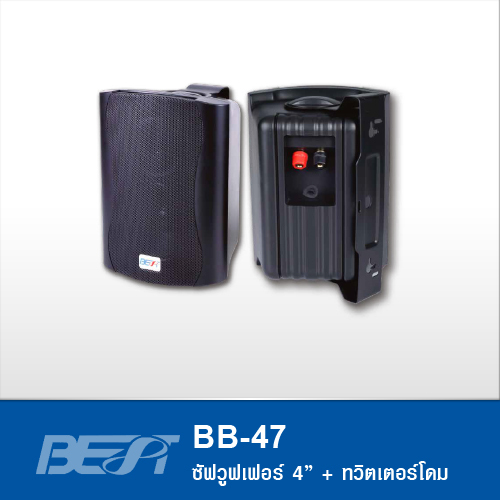 Cabinet loudspeaker 12 W, MDF enclosure with fine-woven cloth front, finished in black, with 3 keyholes for wall mounting. 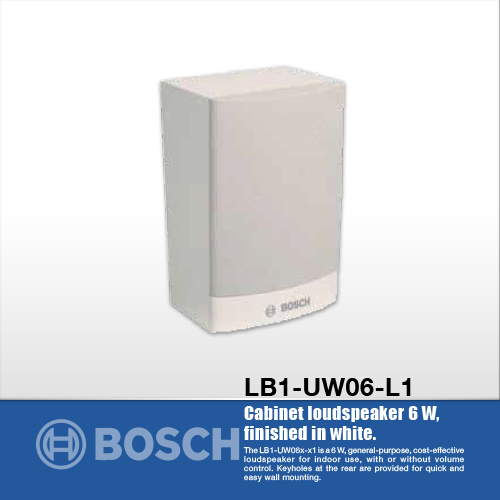 Cabinet loudspeaker 6 W with volume control, MDF enclosure with fine-woven cloth front, finished in white, with 3 keyholes for wall mounting. 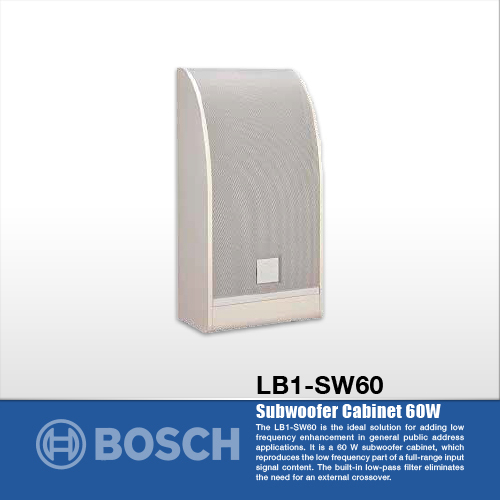 Cabinet loudspeaker 6 W with volume control, MDF enclosure with fine-woven cloth front, finished in black, with 3 keyholes for wall mounting.